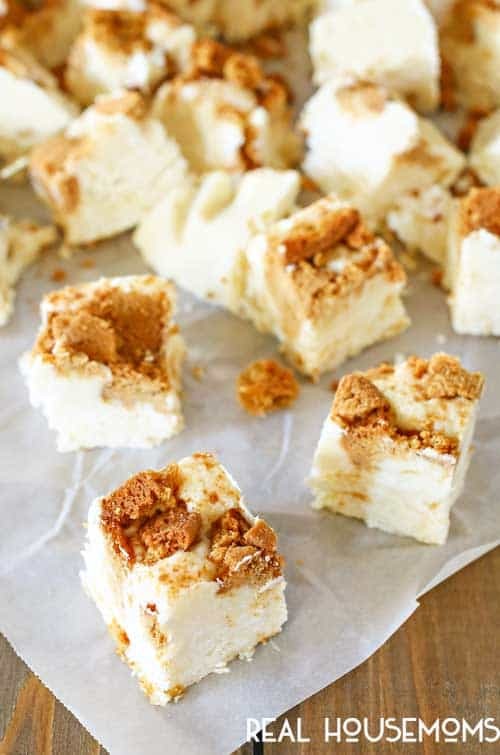 Easy white chocolate fudge packed full of holiday gingerbread cookies make this GINGERBREAD COOKIE FUDGE out of this world! It’s a great edible gift for all your neighbors & co-workers. It’s the most wonderful time of the year! That definitely rings true with all the holiday joy in lights, baking, family time & giving gifts. I love giving homemade gifts whenever possible. It’s so much more personal. With time in high demand these days it’s important to make those homemade gifts quick & easy too. You certainly don’t need to spend a ton of time in the kitchen to make something that everyone will love. 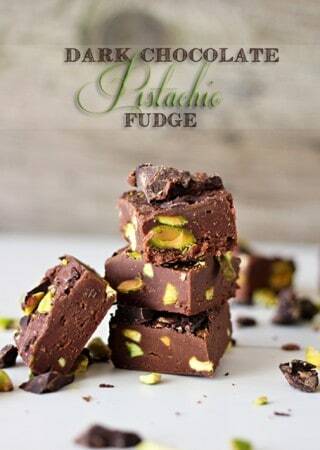 Take a simple fudge recipe & add in a favorite holiday flavor & you have a gift that everyone will rave over. 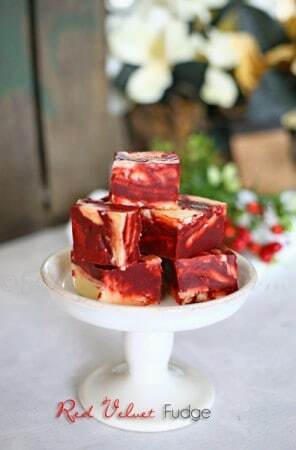 My mom made the most amazing fudge. So amazing that everyone would ask her to make some for them during the holidays. We would spend every evening making trays full of fudge from Halloween on through to New Year’s Eve. Now I try to carry on that tradition by taking some of her recipes & updating them with my own twists like this Gingerbread Cookie Fudge I’m sharing here with you today. Some of her recipes are more complicated & some remain as easy as just 2 ingredients before you add in your toppings & mix-ins. You can’t go wrong! Everyone loves receiving a little package full of holiday treats in all the traditional holiday flavors. No one will know that it was so easy to make. 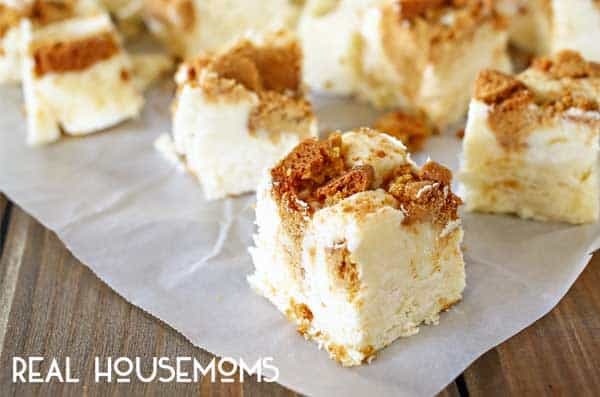 Easy white chocolate fudge packed full of holiday gingerbread cookies make this Gingerbread Cookie Fudge out of this world. I guarantee this will be the first treat to disappear at all your holiday parties! 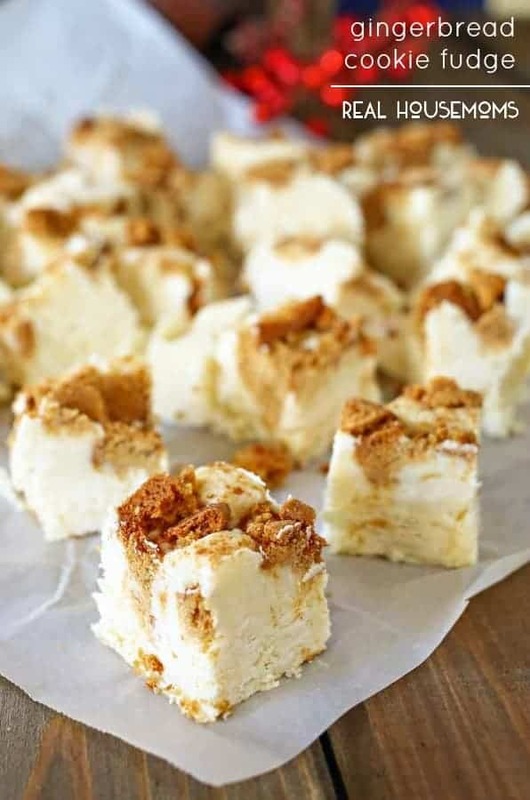 Looking for more great fudge recipes?